Entire villages have lost their crops and livestock, forcing families to leave their homes in search of food and water. Asha, a young widow, and her four children were forced to leave their home when all their livestock died. With the help of their neighbours they travelled to a temporary shelter in search of food and water. Asha and her four children pose for a photo in front of their new home. Photo: Holt, Somalia, 2017. 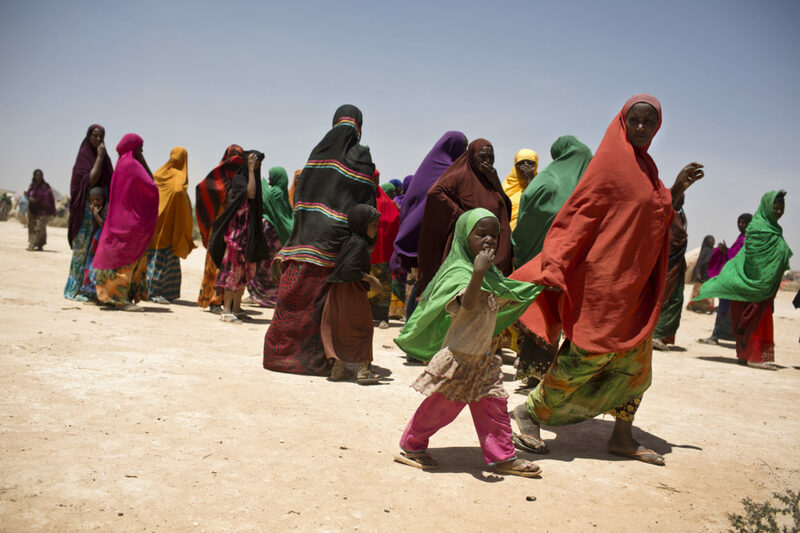 Right now, half the population more than 6 million people are in need of humanitarian assistance. 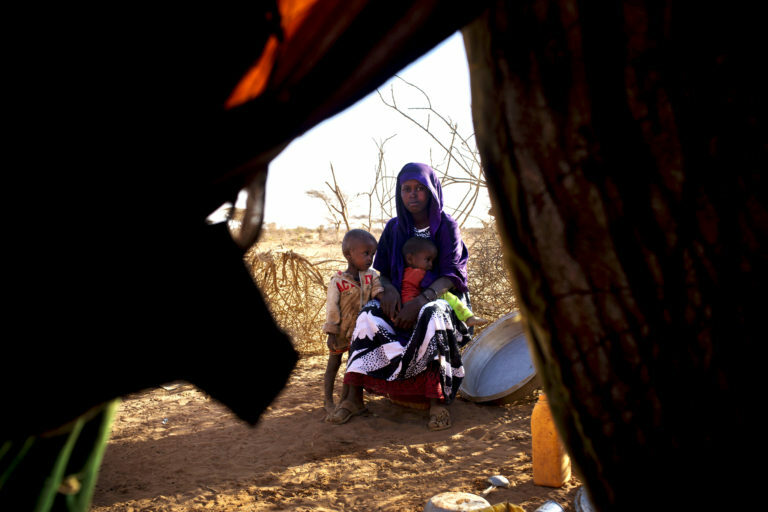 With failed crops and the devastating loss of livestock the price of food and water has increased dramatically forcing thousands of people to leave their homes in search of the most basic supplies they need to survive. 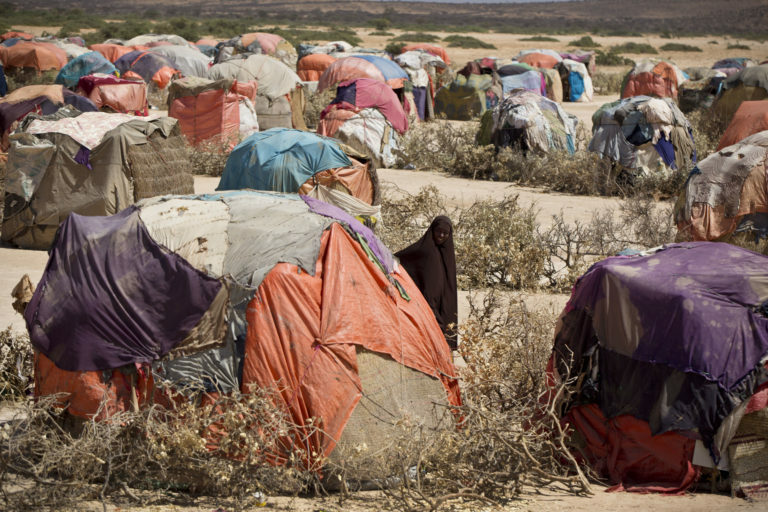 A temporary shelter in Somalia for families displaced by drought. Photo: Holt, Somalia, 2017. With nothing to feed her two young children Sara left her home in search of food and water. Both children are now sick after drinking contaminated water. Sara told us although she has medicine for her children she still does not have food to feed them. 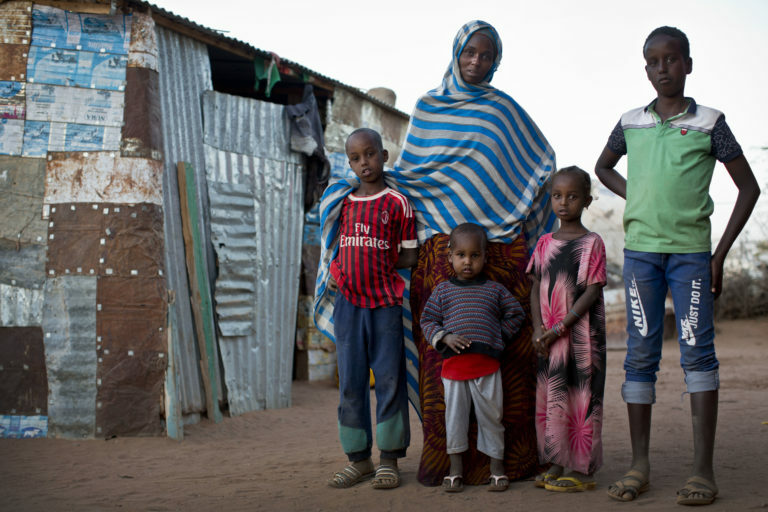 Sara sits with her two young children outside their temporary home. Photo: Holt, Somalia, 2017. Families like Sara’s who can’t afford water are relying on unprotected and unsafe water sources to survive. But this puts them at risk, we have already seen an increase in cases of waterborne diseases like cholera. A severely malnourished child rests on his mother lap while receiving treatment for severe malnutrition at a UNICEF supported centre. Photo: Holt, Somalia, 2017. Lack of food and clean water has exasperated the existing nutritional crisis and right now more than 365,000 children under the age of five are severely malnourished. UNICEF is providing supplies of clean water, medicine and emergency food as well as treating children who are severely malnourished. 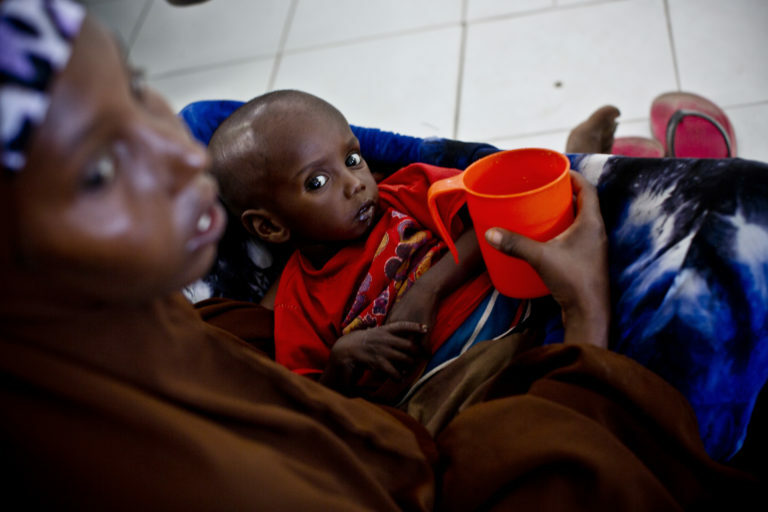 Please donate today and help provide lifesaving supplies to children at risk in Somalia.